Posted March 27th, 2018 by Suwannee River Rendezvous & filed under Suwannee RV Resort. 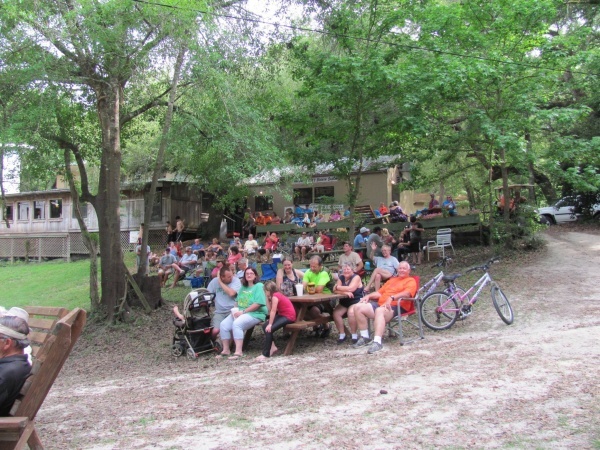 At the Suwannee River Rendezvous, we welcome RV travelers from all over the country. 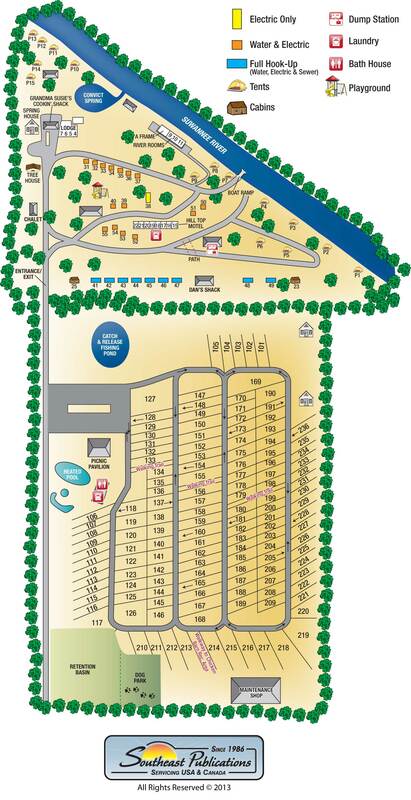 Our smallest RV site is 40 by 80 feet, so we can accommodate RVs of all shapes and sizes. 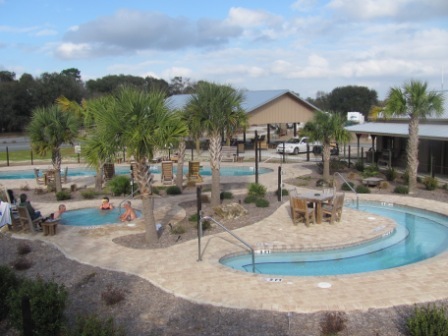 Visitors are welcome to park either on the original campground, or at the new Rendezvous resort, where guests can wake up to our beautiful pool complex and spa. 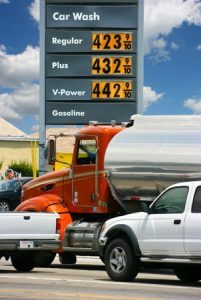 But as every RV owner knows, it’s important to protect your vehicle against unwanted intruders when you’re on the road. Today we’ll look at a few security tips to help you get started. An RV is more than just a mode of transportation; it’s also your home away from home. With this in mind, consider upgrading your RV’s standard locks with high-quality padlocks or cylinder locks that can’t be easily broken. It’s generally a good idea to add locks to your hitch and steering wheel, as well. That way, you can enjoy your trip without having to worry about whether or not your belongings are safe. Motion-activated security lights are great theft deterrents at night. You may even use similar lights to protect your house when you’re not on the road. Modern LED security lights are inexpensive, energy efficient and easy to install. They’re also bright enough to scare off anyone who might think about trying to break into your RV under cover of darkness. With an RV, you should back into campsites to make it easy to get out, right? Well, not necessarily. Pulling forward into campsites can make it much harder for thieves to make a quick getaway with your vehicle. It may add a few minutes to your exit, but your RV’s security is worth it. 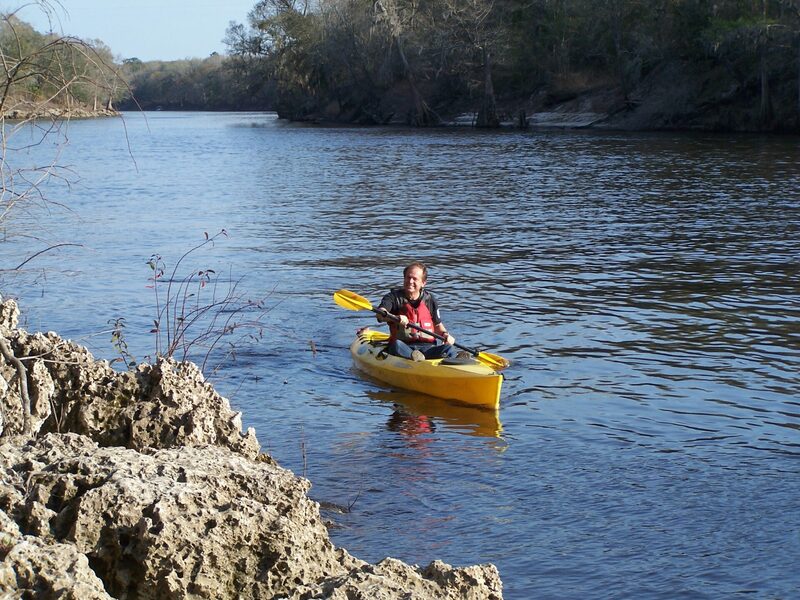 Next time you’re traveling in Florida, be sure to visit us on the Suwannee River! Reserve your site online, or give us a call today to learn more. Posted December 19th, 2017 by Suwannee River Rendezvous & filed under Suwannee RV Resort. 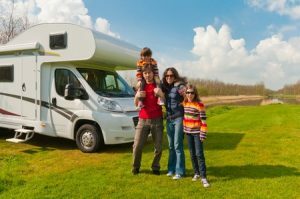 Are you in the process of planning your first RV camping trip? Congratulations! Traveling in an RV is a great way to explore the country. 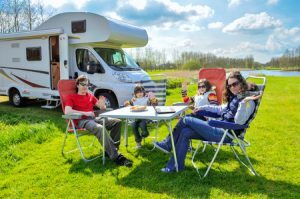 But before you go, you should take some time to familiarize yourself with RVing so that you can make the most of the experience. Check out a few essential tips for your first RV trip below! Come up with a plan—but don’t be afraid to deviate from it! When you first hit the road, you should have a general idea of where you’re going. Otherwise, you’re going to waste a lot of gas and potentially miss out on some amazing sites. Plan out some destinations you want to see, but don’t feel like you have to follow every single turn on the map. Allow yourself to take detours and visit sites that weren’t on your itinerary. 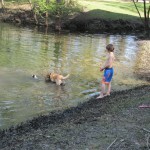 Embrace the spontaneity that RVing offers. Find time for yourself throughout your trip. 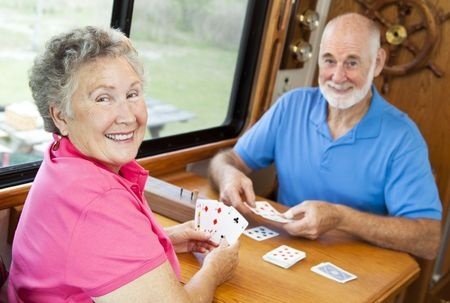 While the average RV offers plenty of space for you to stretch out, you’re still going to be spending a lot of time with your fellow passengers. Whenever you get the chance, find a way to make a little time for yourself. Whether that means taking a walk on a nearby trail or retreating to the back of the RV with headphones, a little alone time can go a long way during a road trip. Ask questions of your fellow RVers along the way. 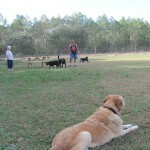 When you stop at an RV campsite, you’re going to come in contact with lots of other people on similar journeys! Don’t be afraid to ask questions or let them know about any concerns you may have. You may be able to learn a lot from these more experienced travelers. 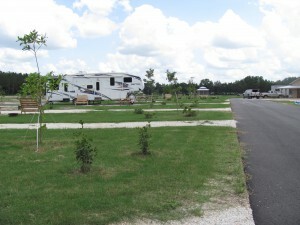 Next time you’re in Florida, be sure to visit our RV Resort on the beautiful Suwannee River! Give us a call to learn more, or book your reservation online today! Posted February 13th, 2017 by Suwannee River Rendezvous & filed under Suwannee RV Resort. No Camper? No Problem! 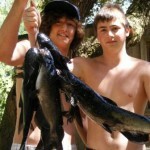 Log Cabin Rentals and More! Posted September 28th, 2016 by Suwannee River Rendezvous & filed under Suwannee RV Resort. There is no better time than now to plan an escape from the upcoming cold weather by booking the perfect outdoor vacation in sunny Florida. 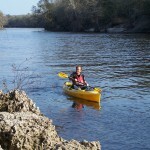 The perfect vacation site, Suwannee River Rendezvous, offers fun-filled adventures for the entire family. If you love the idea of an outdoor vacation, but don’t like traditional camping, don’t worry – the list of camping alternatives is endless. 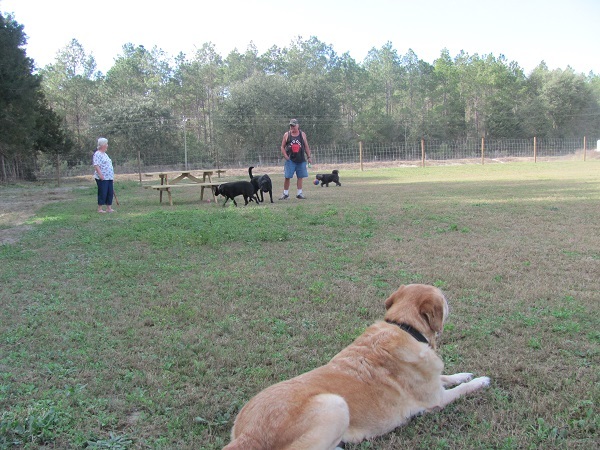 Here are few ways you can enjoy all the best parts of camping without “going camping” at Suwannee River Rendezvous. Our A-Frame House can accommodate a large family or group of friends. It will also make you feel like you haven’t left home, equipped with a full kitchen with dishes, pots and pans, a dining room, central heat and air conditioning to keep you comfortable year round, plus satellite TV. 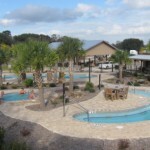 The A-frame also has to full bathrooms, fully furnished bedrooms with linens and a large screened-in porch to relax and enjoy the weather during your stay. 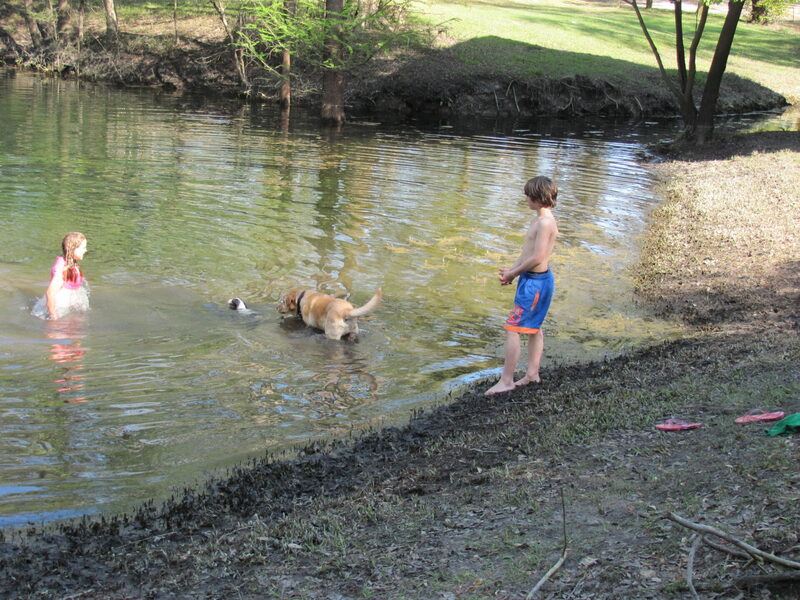 Our motel rooms along Suwannee River offer a clean and affordable alternative to camping, as well. Each motel room is equipped with a refrigerator, microwave, coffee pot, satellite TV, AC and heat. Rooms also each have a private bathroom, and double beds, queen beds or a king bed option are available. There is no better way to feel at home while exploring the great outdoors than by renting the beautiful Chalet Cabin. This 1,200-square-foot cabin features both master and guest bedrooms, two bathrooms, a fireplaces for the colder months, plus a full kitchen and large screened-in front porch. Our log cabins are also a great option. Each cabin can sleep up to six people thanks to a large bedroom, loft area and a sleeper sofa. They also feature heat and air conditioning, a private bathroom, satellite TV and a small kitchen with linens, a cook top, refrigerator, pots and pans and more. The Tree House is a private home featuring a large covered back patio that’s perfect for the family to share nightly marshmallow roasts. It boasts three bedrooms and two bathrooms, and can accommodate up to 10 people with plenty of parking for all. Other camper alternatives include our river rooms, lodge rooms, the Spring House and our lodge suite – a massive room that sleeps six. 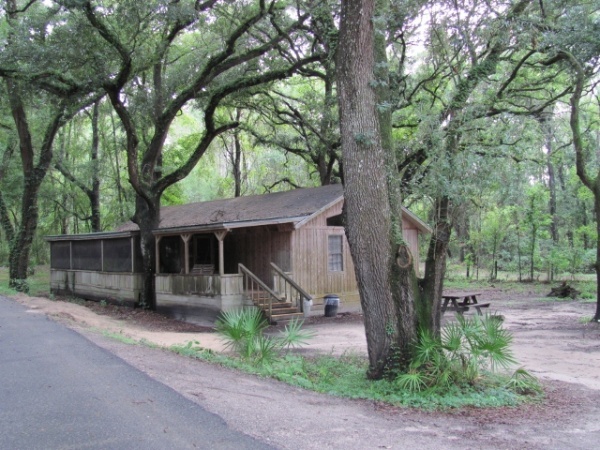 For more information on any of our lodging options, prices or to book your perfect outdoor getaway, call Suwannee River Rendezvous today at 386-294-2510. Posted June 29th, 2016 by Suwannee River Rendezvous & filed under Suwannee River Activities, Suwannee RV Resort. Your first time out in an RV can be an exciting one, but also a little confusing if you aren’t sure what exactly to do. 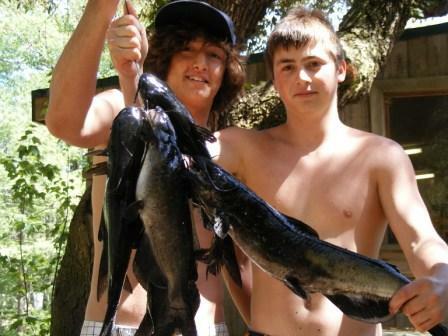 At Suwannee River Rendezvous, we come across campers of all levels of experience and know that feeling comfortable in the great outdoors is a vital part of having a fun trip. So what should first time RVers know before they head out on the open road? Here’s a quick checklist to keep in mind. When you check in at a campsite, check in with the owners and ask any questions you may have. Often we can give you some insights and a quick rundown of the grounds so that you can get a better understanding of where things are located. We also have a map available online to help you find your way around. Once you find your campsite, make sure to prepare your RV for the stay. That includes hooking up electricity and water, along with making sure your RV is parked on flat and level ground. Once you connect your amenities, you’ll be ready for your stay. 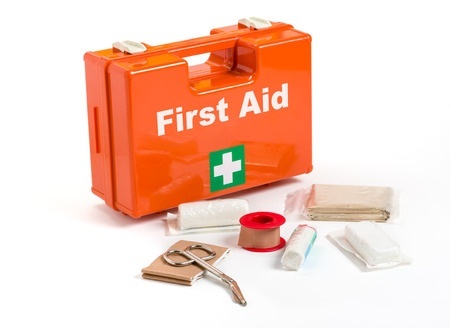 If this is your first time, be sure to refer to your RV’s owner’s manual, look up instructions online or ask a neighboring RV owner to help with anything that seems confusing. 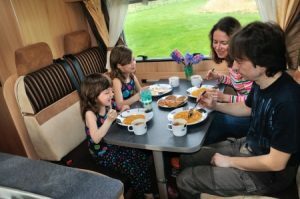 Most RV owners were like you once and may have needed some help learning the ropes, and many people are friendly and may be able to help answer any questions you have. This is the most important part! 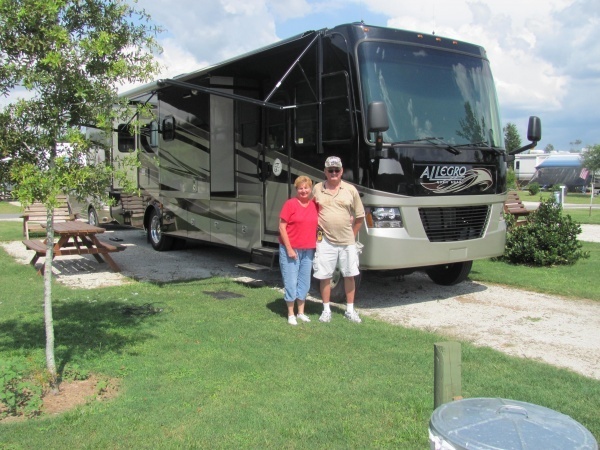 Having an RV allows you to bring all the comforts and luxuries of home to different places. 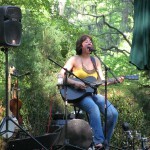 Make sure to bring comfortable chairs, some fun outdoor games and some good food for your trip. Spending your vacation in an RV is incredibly enjoyable. You can enjoy nature and new locations, but also stay comfortable without having to pay for costly hotels. 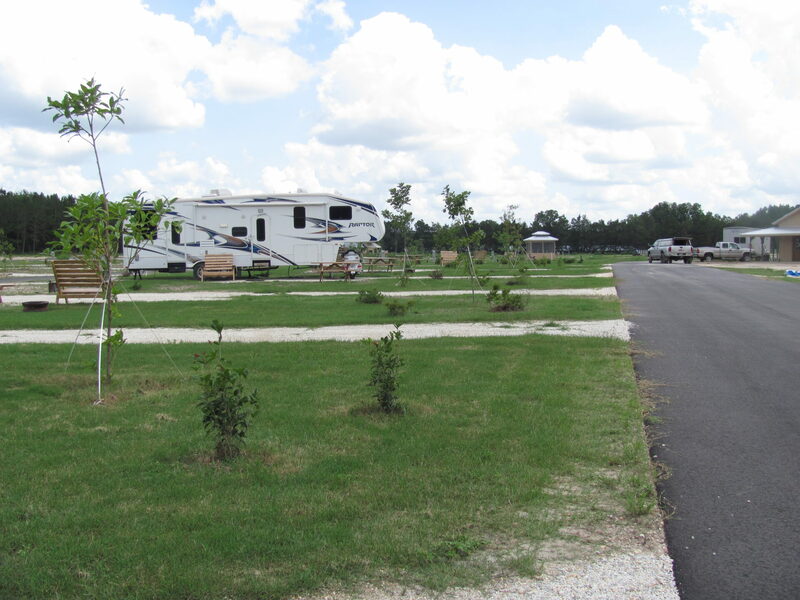 At Suwannee River Rendezvous, our resort campground offers many great amenities and fun for campers and RVers of all ages. 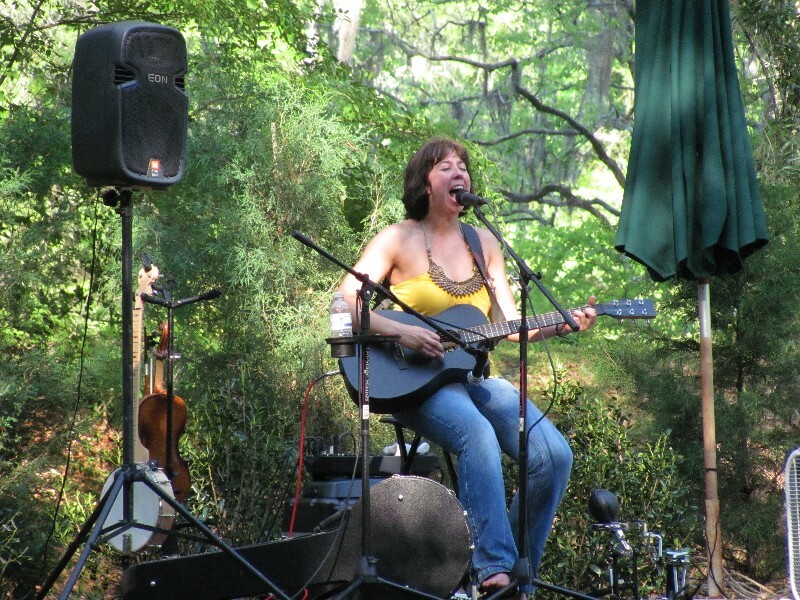 In addition to all there is to do on the grounds, there are a range of additional activities and trips available, including great musical entertainment, canoe and kayak rentals and fishing, hunting and horseback riding opportunities. To learn more or to book your stay, call us at 386-294-2510 or make your reservations online now. Posted May 10th, 2016 by Suwannee River Rendezvous & filed under Suwannee River Activities, Suwannee RV Resort. Posted February 24th, 2016 by Suwannee River Rendezvous & filed under Suwannee River Activities, Suwannee RV Resort.